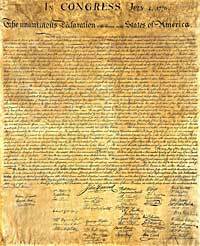 In 1776 the leaders of our country took a stand and declared that they would no longer be controlled, they dissolved the bands that held them back and kept them limited, and they chose a new life. What if you celebrated this holiday by doing the same for yourself? 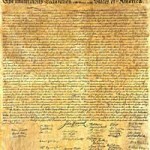 The Declaration of Independence came about because a system of government wasn’t working. That governing system was holding people back, telling them they weren’t worthy or deserving of better and that they weren’t equal. Do you have internal governing systems; self talk, beliefs and paradigms that are holding you back? Is it time you declared your independence from those old ways of thinking and being, and created the life, success, and world you desire? Isn’t that amazing. They were strong enough in themselves and wise enough to know that they deserved better, that the conventional known way wasn’t working and was holding them back. And… they did something about it. What about you? 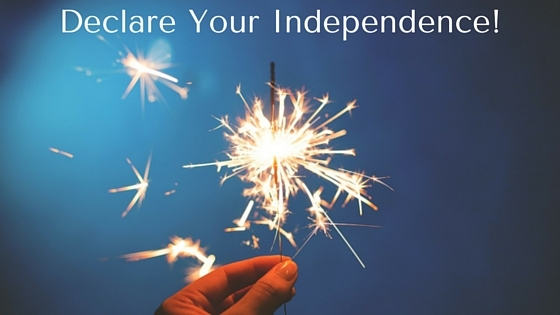 Are you ready to declare your independence and go for the extraordinary life that awaits you?! We are such amazing beings and yet we hold our selves back. Like the founders of our country, what in your own life do you need to take a stand for or a stand against? What holds you back? What self talk, paradigms, beliefs, habits, etc. keep you playing smaller than you dream? What keeps you “governed” and living a life that is less than you are capable of and less than you deserve? The voices in our heads, our self-talk is our internal form of government. It is so much louder and more powerful than anything or anyone outside of us… for bad or good. The sad thing is we often don’t realize that it is our voice and we can change what it says, and whether it is for us or against us. We can overthrow that form of “government” and choose to create a new one… a new experience, a new level of success, a new life, new possibilities, a new world… for our selves and in general. Change! Those negative thought are just habits. It doesn’t matter where they started or how long you’ve been thinking them, you can change them… starting now. Changing our self talk from negative/non-supportive to positive/support is just like changing any habit or muscle, or any other change in life. At first it may seem clunky and awkward… like working out for the first time after a long stretch of not. It may even be painful and start a disagreement within us or around us (our own form of war). But as time goes on, if we keep flexing that muscle; making conscious choices in our self talk, conscious choices in our lives, and living with the beliefs that we are worthy and deserving of life, freedom and the pursuit of happiness, and we support ourselves in going for those it works and it’s totally worth it. – When an opportunity comes up if you first thought is I can’t, think, “Yes, I Can!” and then look for ways that you’ve done that or something similar in the past. Affirm that new belief. – Appreciate you. When you’re out living your life, give your self appreciation for what you do. Focus on the good that are, that you have, that you give, that you know. Appreciate you. If you need extra help with this, at the end of the day write out, “5 of My Days Successes” and list five (no matter how big or small). Isn’t it time we all start living based upon our own choices and our own values. How about with this holiday. Our holidays (Holy Days) can be as sacred as we choose. What if you chose how to celebrate this in a way that really affirms and reflect you and the life you want? What does the 4th of July mean to you? How do you celebrate it? Have you thought about it and made that conscious choice your self, or are you doing what everybody does or what you’ve always done? And how would you feel if you went against that norm and did it your way… believing that your way was right? If we are created equal, our voice and choice matters. To change we must choose… before choosing, we need to be conscious and not just do what we’ve always done. Re-define the holidays or any part of your life or belief system… it is your life. Have you thought about how you want to celebrate that Declaration of Independence Day… is it really a choice or an old habit? Declare your independence from what holds you back… and stand for you. You matter, your voice matters, you have something unique and important to do in the world… start today, where you are, with what you have. Stand for something…listen to your own voice, declare you own truth, know that you are worthy and deserving… that you have the unalienable rights to Life, Liberty and the pursuit of Happiness, make your own choices and be all that you were meant to be. Years ago I met a Veteran who’d fought in the Vietnam War and experienced horrible things. He was an amazing, interesting and kind man. He did his duty for this country, for us. I learned so much from him. On the 4th of July every year he goes way off into the woods where he doesn’t hear the sound of the fireworks because they give him flashbacks of the horrible experiences he’d gone through. Hearing his story made me think. Add to that my own experience of growing up on a lake, and seeing that lake on the 5th of July. Film and garbage from the fireworks the night before, covered the lake and the ducks. My thoughts… “Why do we celebrate this beautiful country of ours by polluting it”… and, at least for that veteran, by scaring and alienating those who have kept us safe? There are so many better things we could do on this holiday. It seems that everything has gotten so commercial, empty, superficial, etc. Most celebrate this holiday, that is all about that declaration of deserving, by drinking and polluting our country. What could we do instead? What could you do on this 4th of July to make the most of this day? How can we be like those wise leaders and make a difference in a way that appreciates all that we have? Whatever you do, happy Independence Day!